Here at the junction you can make a left turn and go to Stewart B.C. or Hyder Alaska. 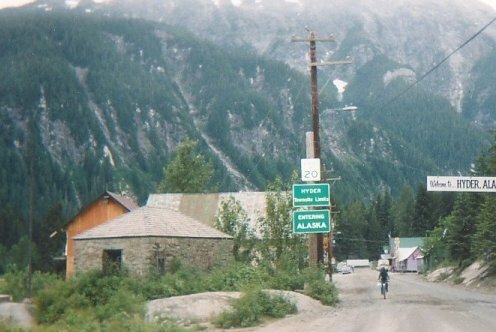 Make a right turn and you are on your way to the Alaska Highway and the Yukon and other points North. At the junction you will see a tourist booth where you can get some info on highway 37. 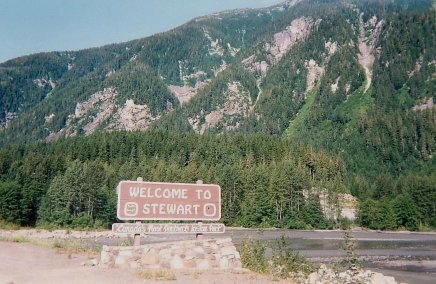 The highway to Stewart/Hyder is perhaps one of the most scenic drives in North America. 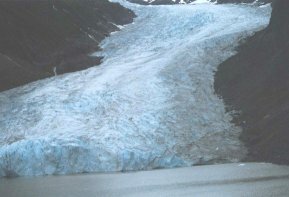 The highway follows the base of towering coastal mountains which are capped with icefields and patches of snow . Hundreds of waterfalls tumble down the beautiful mountain sides, while stately trees border the roadway. forms the Bear River which empties into the ocean near Stewart. 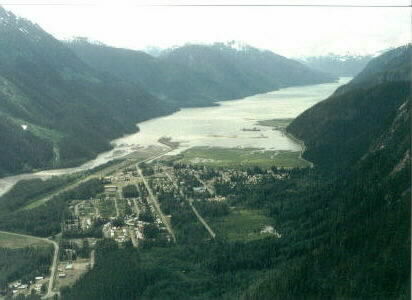 The town of Stewart. Here you will find all kinds of facilities, to handle any problem you might have. 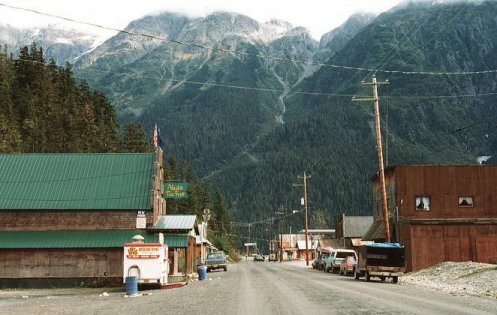 Hyder, Alaska. Alaska Time Zone -- set your watches one hour earlier.